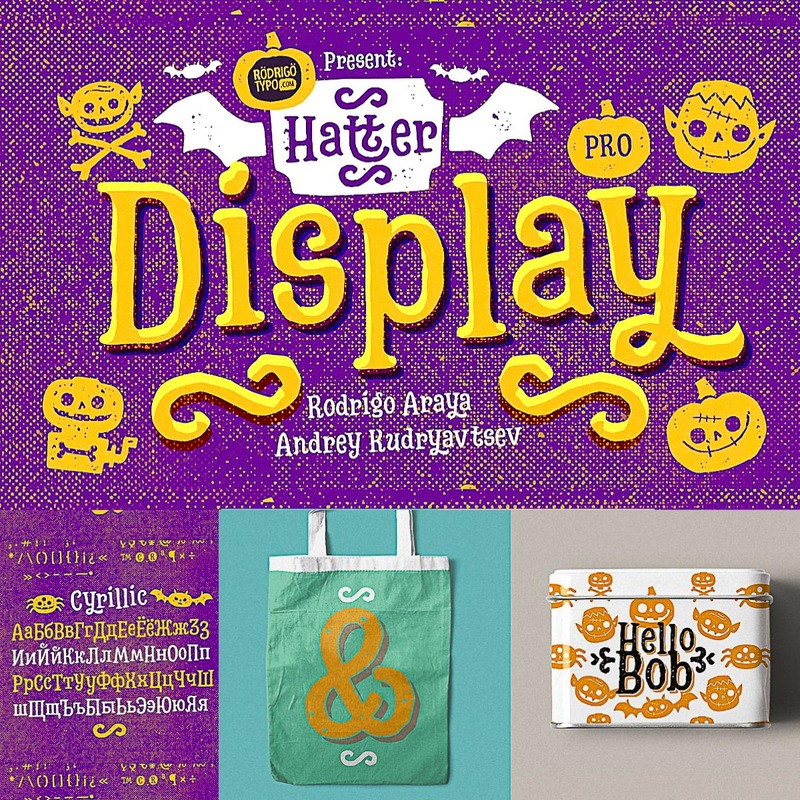 Introducing the Hatter Display Pro Font Set. It contains more than 12 fonts, among them it contains Cyrillic, Swash, Alternatives, Dingbats, Ornaments, all to make an entertaining graphic. 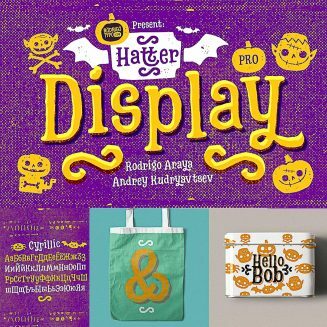 Tags: alternative, cyrillic, cyrillic font family, dingbat, display font, font family, Halloween font, ornament, swash.